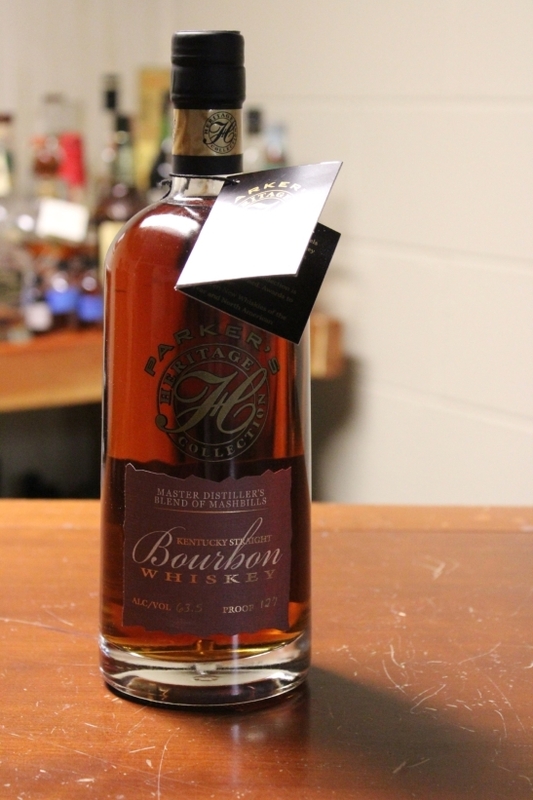 As I mentioned, I was fascinated by PHC and, because of its rarity and the fact that each year represents a completely different release, I had my work cut out for me to both sample and collect a bottle from all 11 editions (at the time of writing this). My primary goal was to try all of the editions, so I’ll take you through my experience in chronological order. On February 19, 2017 a friend of mine (who is also a whiskey enthusiast) and I were hanging out at his house. 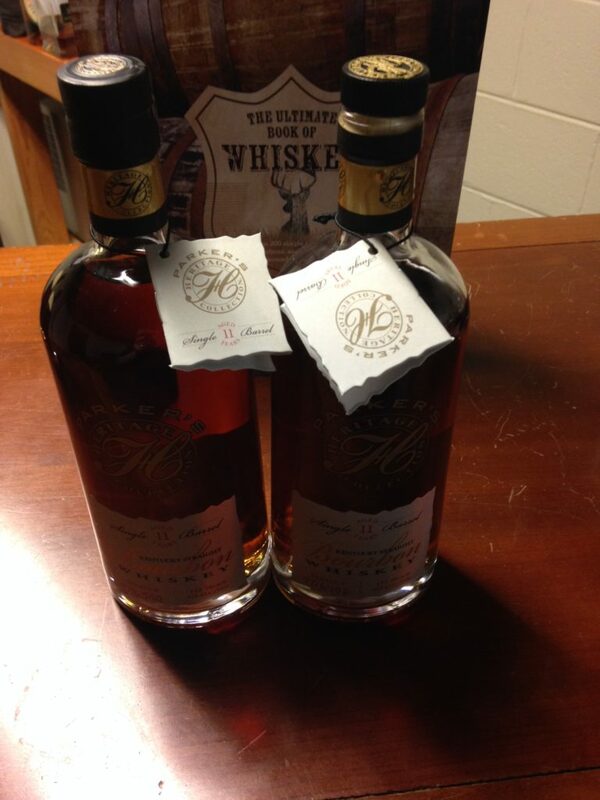 We decided to drive to a couple local wine and spirits stores to acquire some new bottles of whiskey. 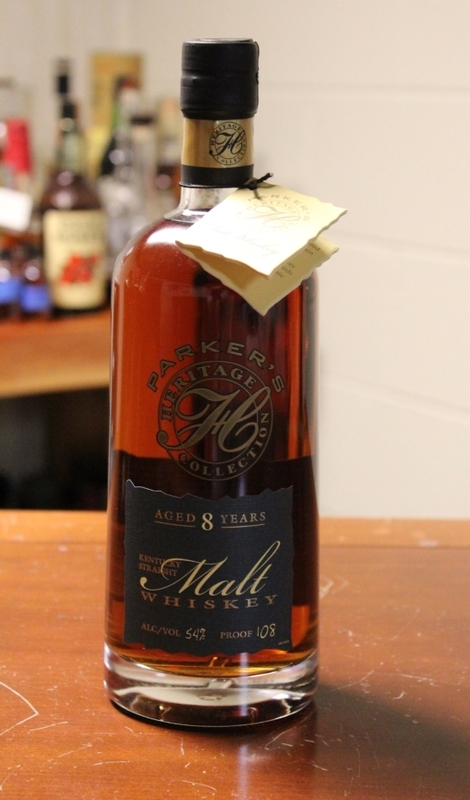 We walked into a local store (one of the best–with a great owner) to find three bottles of PHC 9th edition (8 year malt) on the shelf. I couldn’t believe what I saw. 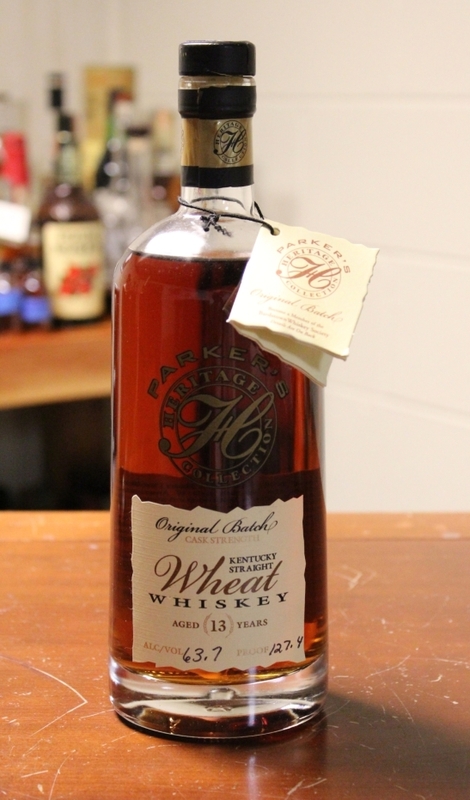 It wasn’t the 13 Year Wheat Whiskey unicorn I had read about, but it was PHC nonetheless. I splurged and bought two bottles. I took the bottles back to my friend’s house, popped one open, and enjoyed my first pour of the collection. On the evening of March 9, 2017 I decided to visit a local bar known for having a great selection of whiskeys. 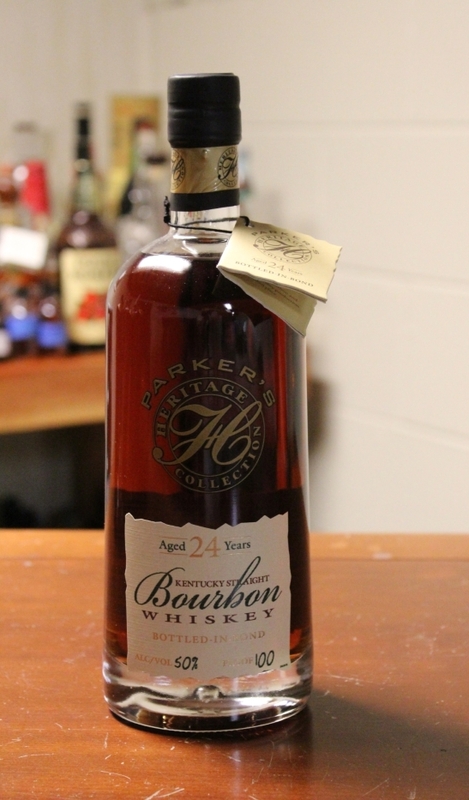 When I arrived, I, with my fingers crossed, asked the bartender if they had the newest PHC edition–the 24 yr Bottled In Bond, which they did! Now, this is somewhat of a dimly-lit place, so after I received my 1 oz pour in a Glencairn glass, I slid the glass toward one of the candles on the bar so that I could take a picture. If only it were that simple. The glass stuck at one point and I knocked it over. Panicked, I quickly picked it up and was able to salvage about 1/2 oz. I was sad to see 1/2 of my pour go away but was happy to have added another PHC edition to my repertoire. As of April 21, 2017, another friend of mine and I had visited NYC every April for the past 10 years. We shared a passion for a cappella music, and each year we would attend the International Championships of Collegiate A Cappella (ICCAs), which were held in Manhattan. We often brought friends, colleagues, and girlfriends, which always made for an exceptional time. The a cappella event was always the primary purpose for the trip, but this particular year, I had two other items I wanted to cross off my list. The first was to interview with the U.S. Customs and Border Protection at the airport for my Global Entry membership, and the other was to try another edition of PHC. 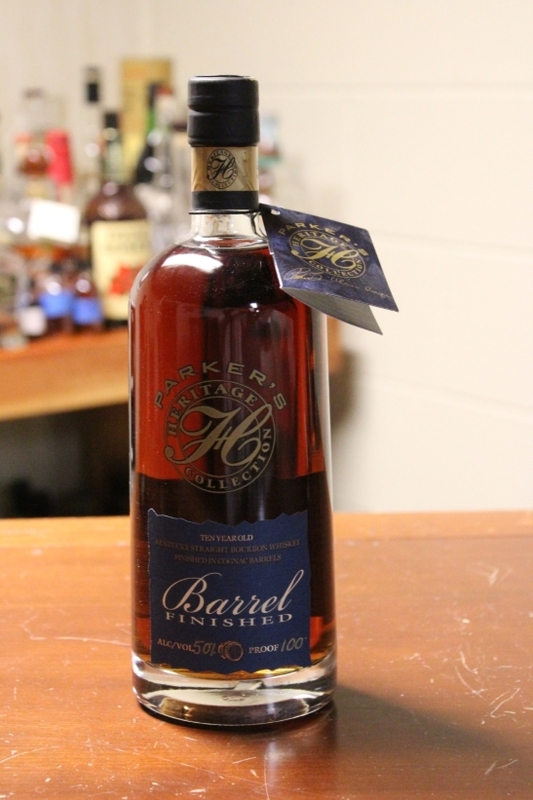 Again, each year’s PHC release is something altogether different from the previous year. I had tried the two newest ones at the time in the Rochester, NY area, so I needed to look elsewhere (e.g., NYC) to find bars that might still have older releases available. Fortunately, my friend was a great sport about things and met me at the airport to go through the interview, which was fairly quick. 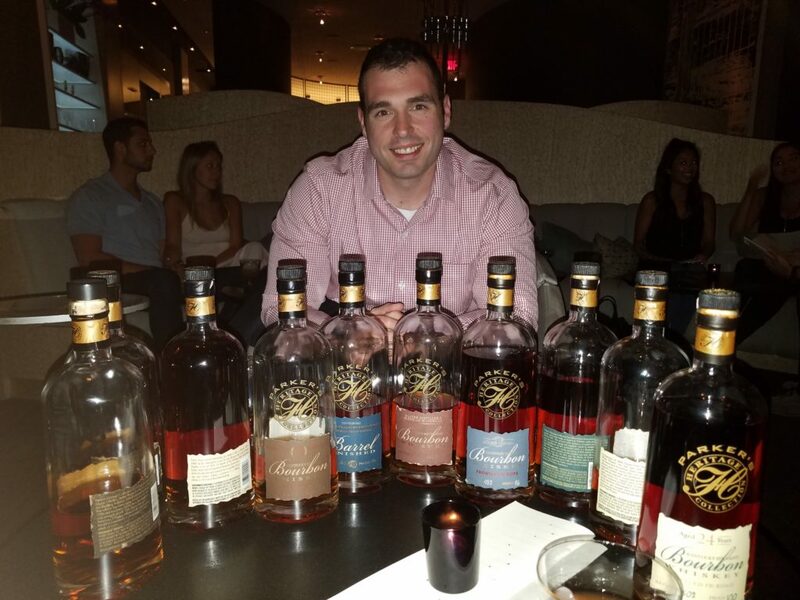 We continued on to a bar in Midtown Manhattan that I had called the night before to confirm they had the 8th edition (13 Year Wheat). Sure enough, they had put it aside for me and pulled it out as soon as we arrived. There was just enough left in the bottle for my friend and I to have two drinks. I was happy to have finally tasted the release that had turned me on to PHC–and it was as good as the writers had described. 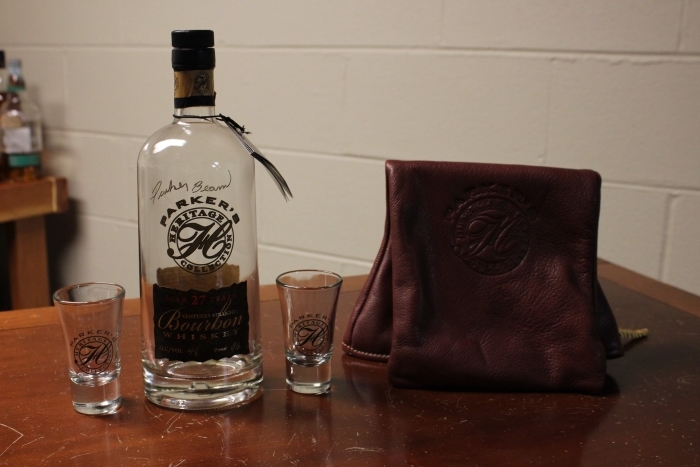 I was also happy to add a third edition to my list of tastings. At this time, only seven editions remained. On May 11, 2017, I was traveling from Rochester, NY to Utica, NY to visit my family. I had read about a bar in Syracuse that had the 7th edition (Promise of Hope 10 year) in stock. 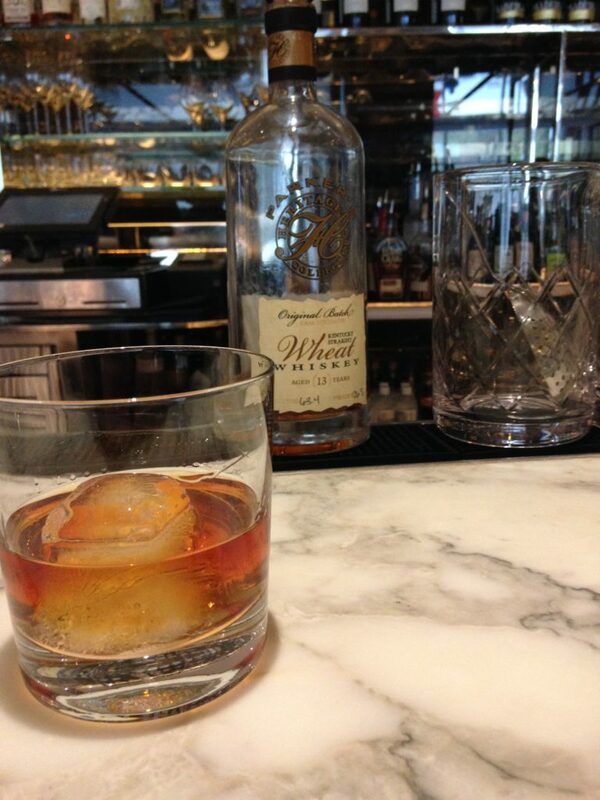 So I stopped in on my way through and was able to enjoy a pour before continuing on. The sad part about this particular experience is that, because I was driving, I had to leave some of my drink on the table. Regardless, it was great to enjoy amidst a conversation with my friend on the phone. Ok, August 5, 2017 was a big day for me. A really big day. 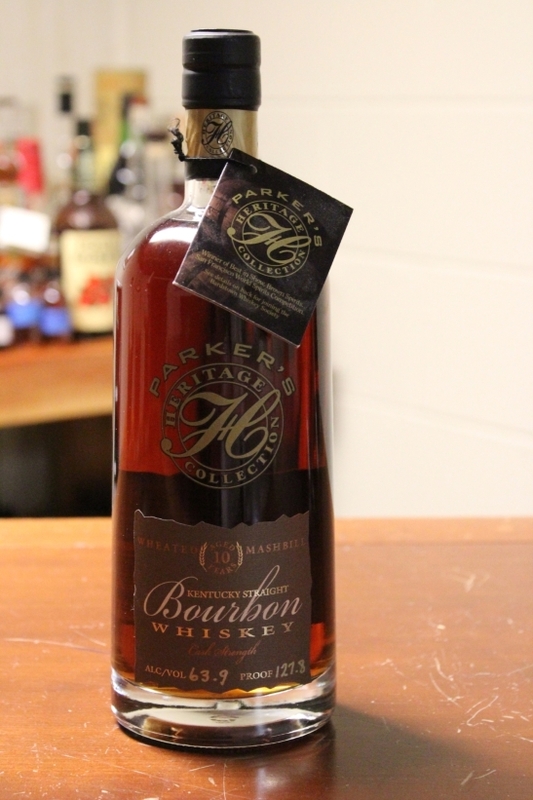 After trying PHC editions from 2016 back to 2013, it became increasingly difficult to find pours of the earlier editions (i.e., 2012-2007). I did a lot of research online…and I mean A LOT. I called plenty of bars across the country, I messaged people on various social media platforms. 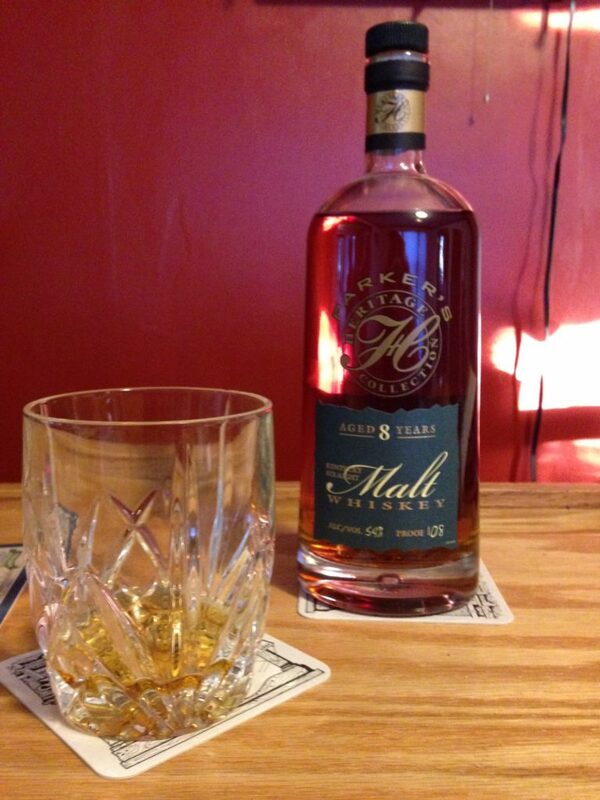 Heck, I even contacted the Master Distiller at Heaven Hill. By a stroke of luck, a person I had messaged on Reddit responded with a bar name–suggesting they may have the entire vertical (i.e., all of the editions (1-10)). I contacted the bar, and sure enough, they had every single edition. The challenge with this bar, aside from the impending cost of trying every PHC edition, was that it was located in Chicago, IL. 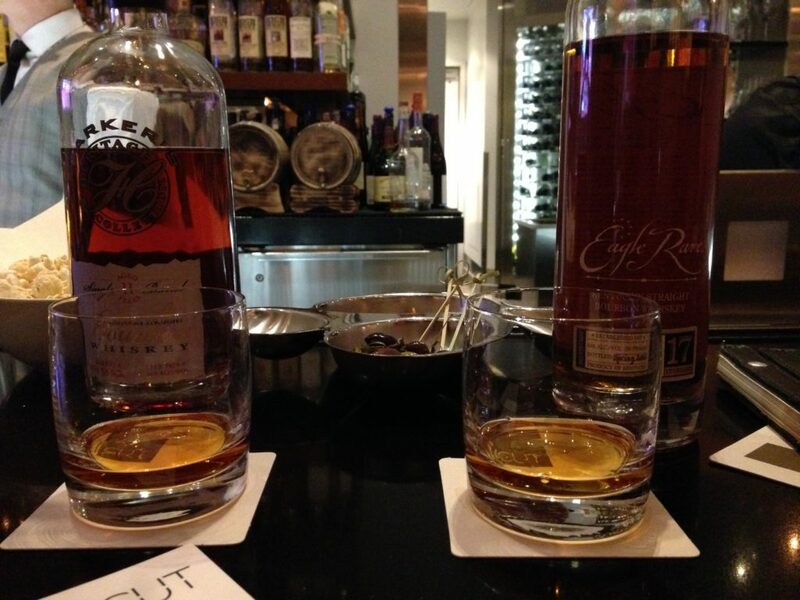 Again, as luck would have it, my whiskey enthusiast friend and I have another friend who often travels for work (often to Chicago) that we had been meaning to visit. So the three of us agreed on a weekend to get together. We had a blast. We traveled all around Chicago for a couple of days then made our way to this bar at night. I ordered 1 oz of every PHC edition. This was my chance to catch up on all of the editions, as far back as 2007, in on fell swoop. 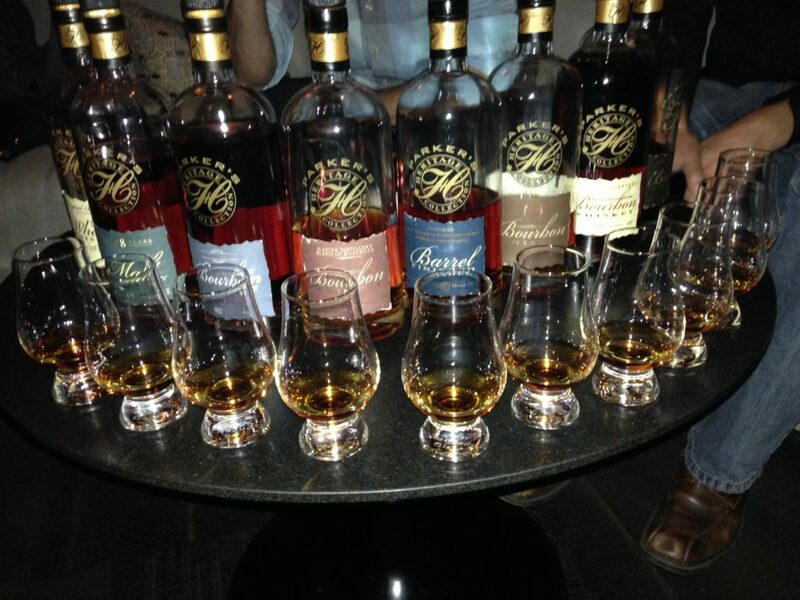 The PHC collection ranges from 48% ABV to ~65% ABV so let’s just say it was a great night (but rough morning the next day). I had done it. 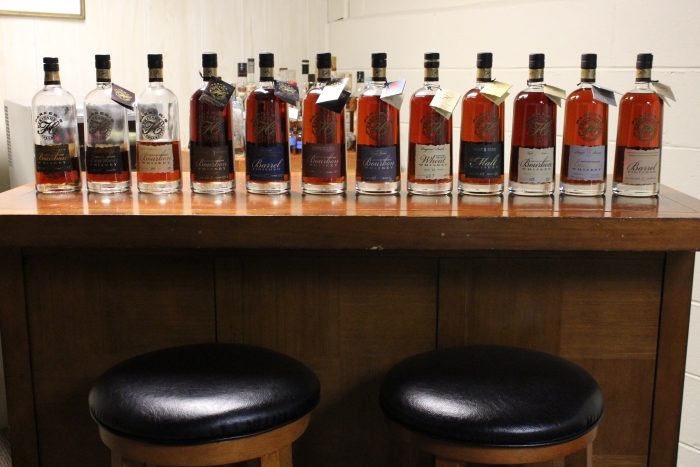 After about 6 1/2 months of pursuit, I tried every edition of PHC–some more than once. I was feeling good that I accomplished my goal, albeit a seemingly silly one. Shortly after this weekend with my friends, I had set two new goals for myself. The first was to go on a diet. Seriously, alcohol has a lot of calories, and although I don’t drink very much on a weekly basis, I thought eliminating it completely could only help my overall health, and I wasn’t ISO PHC anymore, so the bug wasn’t there–sorta. The reason I say that is because my second goal was now to stay on top of trying PHC each year, which theoretically should be fairly easy as long as I just visit a local bar each November or December when Rochester gets its supply. As of October 21, 2017, I had been pursuing and by some measures met my first goal of going on a diet. I wasn’t by any means fat, but there were many ways to improve health–more muscle mass, lower body fat %, increased endurance, etc. From my time in Chicago up to this point, I had only drank water. That’s it. For my food, I was on a strict diet that was actually a good variety of foods. The “strict” part was just making sure I didn’t overeat and exceed a certain calorie count in a day. I was down nearly 20 lbs with little-to-no loss in overall strength. I was in a great place! The two friends of mine that I was with in Chicago were also with me for my bachelor party in Las Vegas in 2015. We decided it was time for a return trip to Sin City in October 2017. So we booked a long weekend. 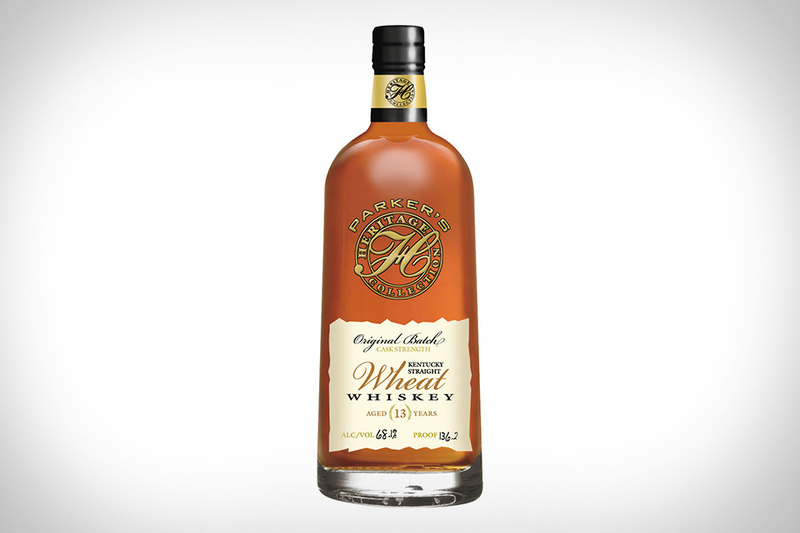 By this time, Heaven Hill had released the 11th edition of PHC–an 11 year cask strength single barrel. Despite its release, Rochester didn’t yet have it because this was the (un)sweet spot where the whiskey is available some places but not yet all places. Las Vegas was one of the places that had it. Vegas has everything. Since I didn’t necessarily want to wait until November/December and since we were going to be there anyway, I made arrangements with a sommelier to stop by his restaurant and bar to try the 11th edition. This was a wonderful release and an even greater overall experience. 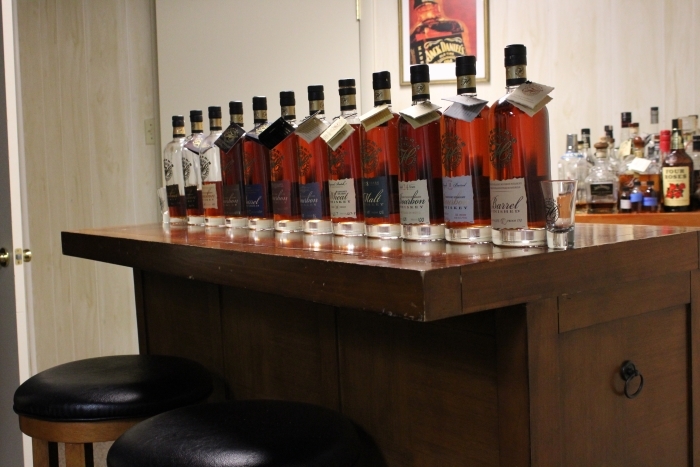 My friends and I visited a few more bars in the area and were even taken on a private tour of some of Vegas’s best wine cellars and whiskey rooms. Really amazing. That brings us to today–June 30, 2018. I’ve traveled around a lot of the United States in pursuit of trying all of the PHC editions. I’ve had so many great experiences throughout the journey. 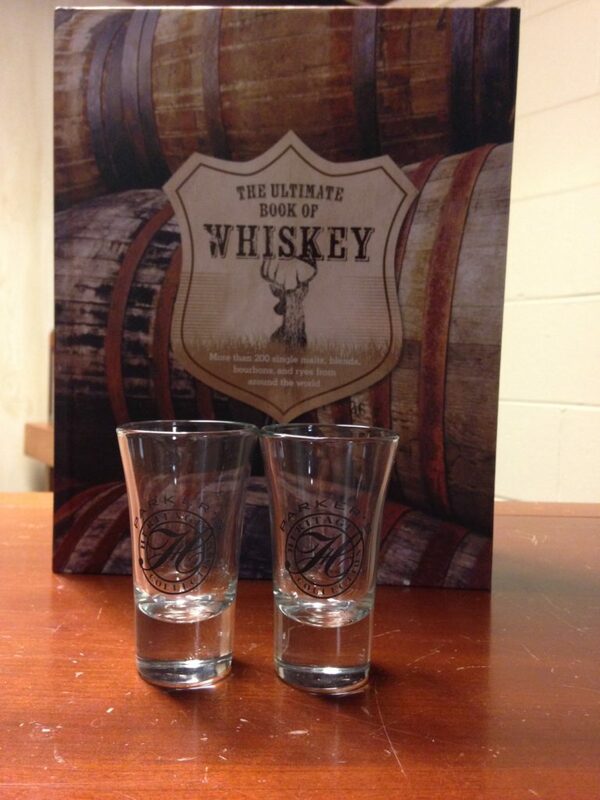 In a few months, this year’s edition (12th) will be released and as you might expect, I’m excited to try it. I plan to update this blog post each year with more information about my ongoing journey. 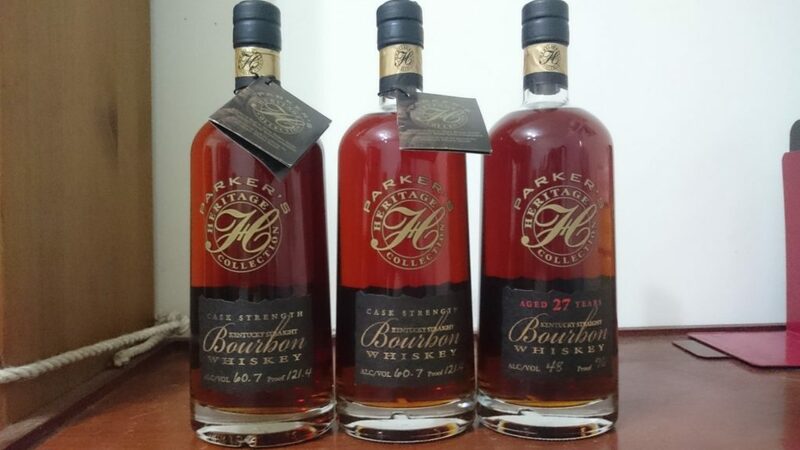 In the meantime, I put together some other interesting Parker’s Heritage experiences I’ve had, outside of just trying the whiskey. 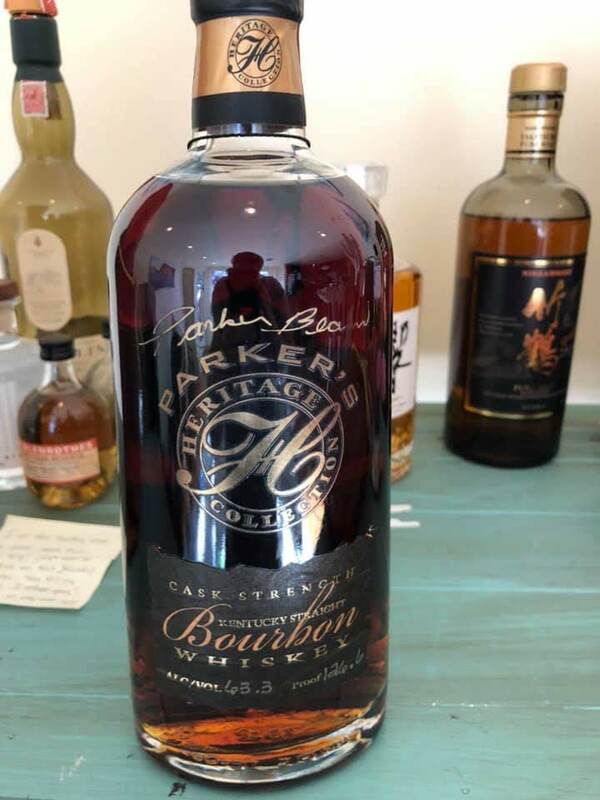 On October 17, 2018, I had the opportunity to try this year’s Parker’s Heritage edition. 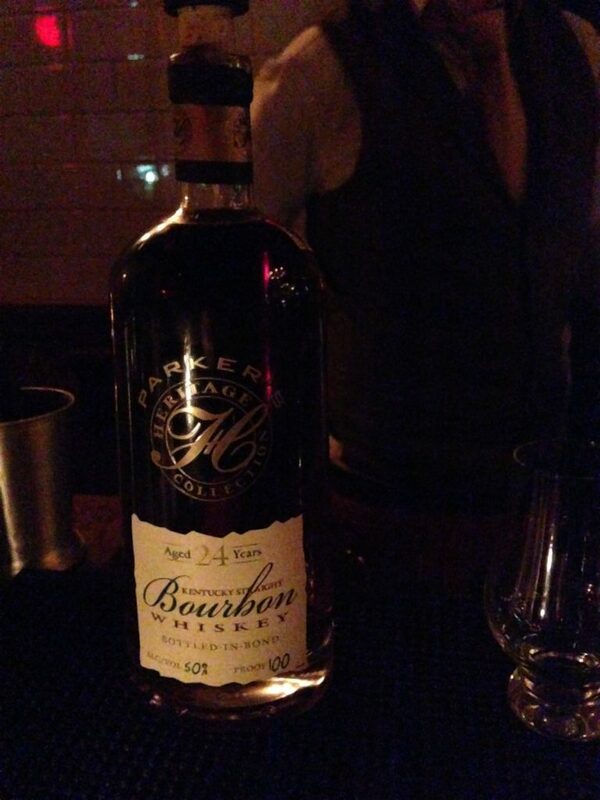 A seven- to eight-year aged whiskey finished in orange curaçao barrels . I must say, I was a bit skeptical at first for fear that this would taste like cough medicine. As it turns out, this went down smooth as I sipped it over the course of a half hour. At 110 proof, it has a little bit of a bite, but nothing overpowering. 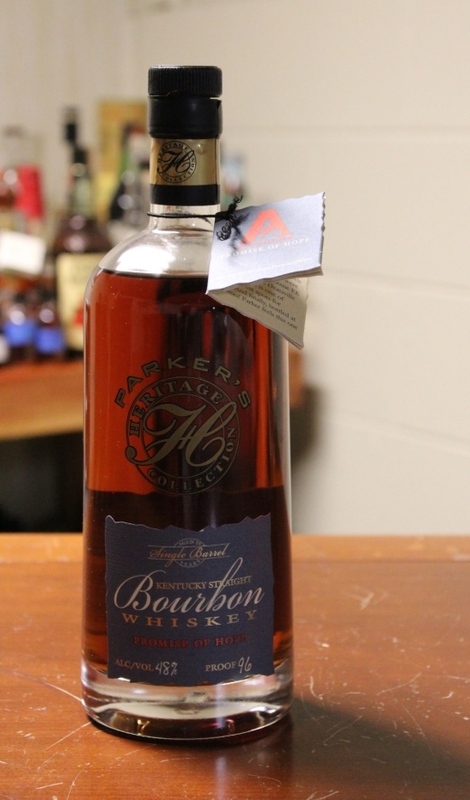 Since this was only the second time the Heaven Hill released a Barrel Finished bourbon in the Parker’s Heritage Collection, I thought it would be fun to have a “Battle of the Barrel Finished.” In my opinion, the fifth edition–finished in cognac barrels–still holds the championship title, though this year’s release gave it a huge run for the money. Amidst my pursuit to try all of the PHC editions, I set a secondary goal for myself of collecting a bottle from each edition. 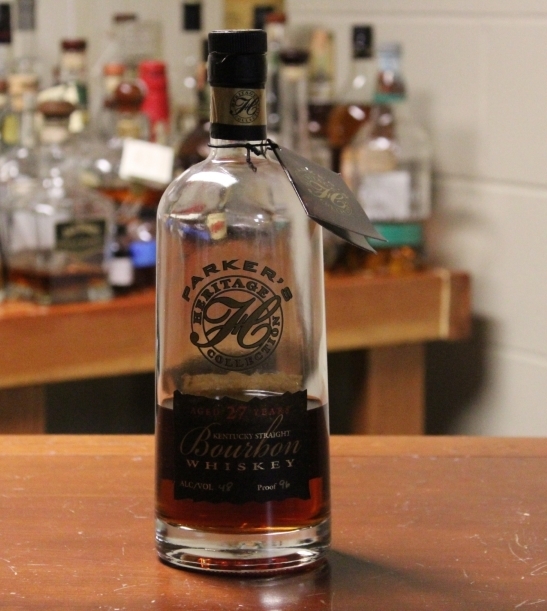 If you thought finding and trying each edition was difficult, actually acquiring a bottle from each one proved to be extremely difficult–but I was up for the challenge. It took several more months and a lot of time and money, but I was able to achieve this goal too. Here I have on display each of the bottles. I plan to update this gallery yearly as I obtain the newest PHC edition. Multiple Batch Notes: Three proofs. See above. Multiple Batch Notes: Two proofs. See above. Multiple Batch Notes: Five proofs. See above. Other notes: 127 and 132 proofs? 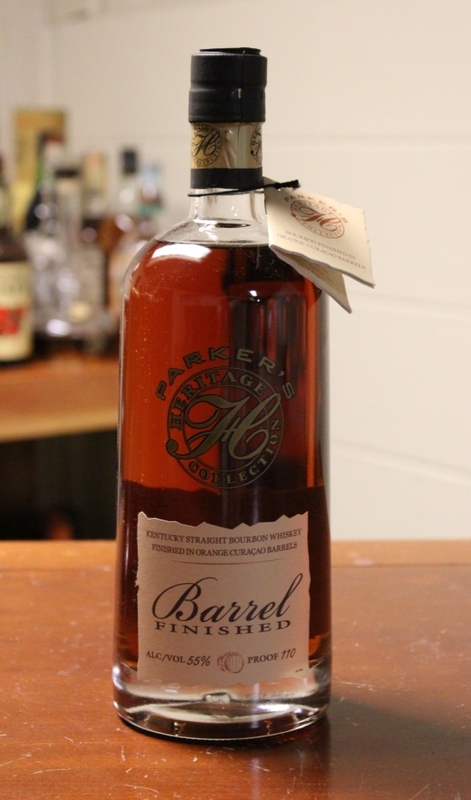 Multiple Batch Notes: Single barrel. Multiple Batch Notes: Two dumps. Fall 1990 and Spring 1991. 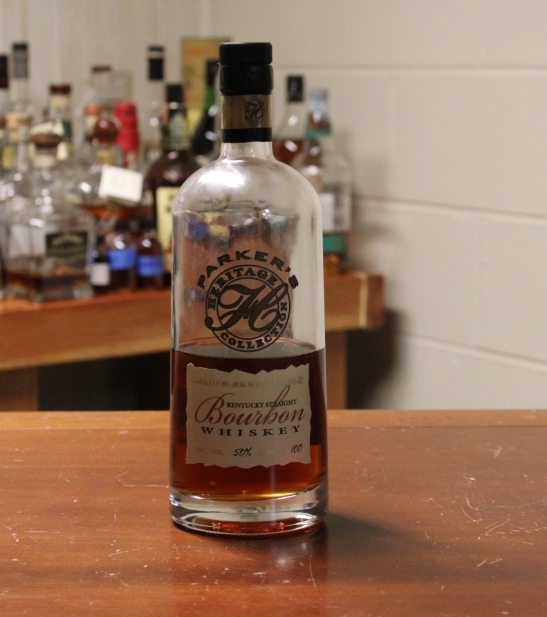 Other notes: Oldest bottled-in-bond bourbon. Multiple Batch Notes: Multiple dumps. 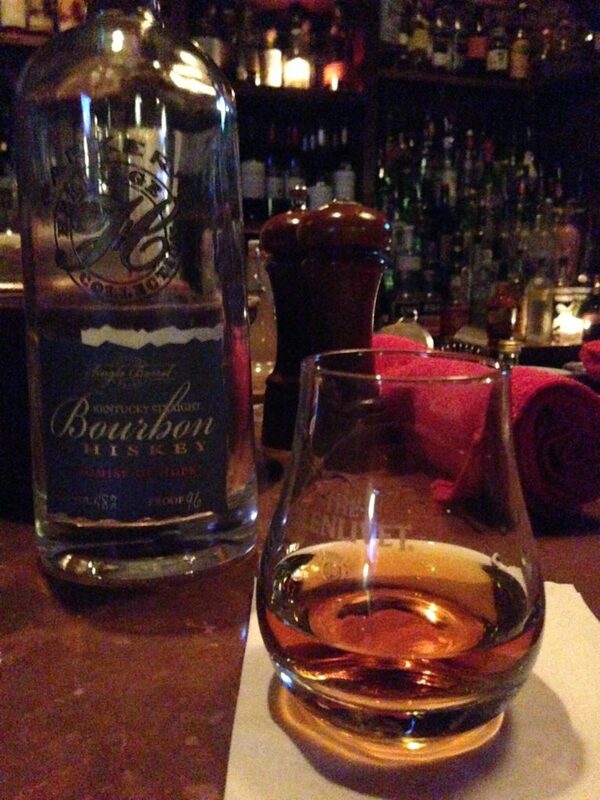 Single barrel. Since I’m a glutton for punishment, amidst my secondary goal of collecting a bottle from each PHC edition, I set a tertiary goal for myself of gathering information and other paraphernalia related to this collection. Here are some of my findings. 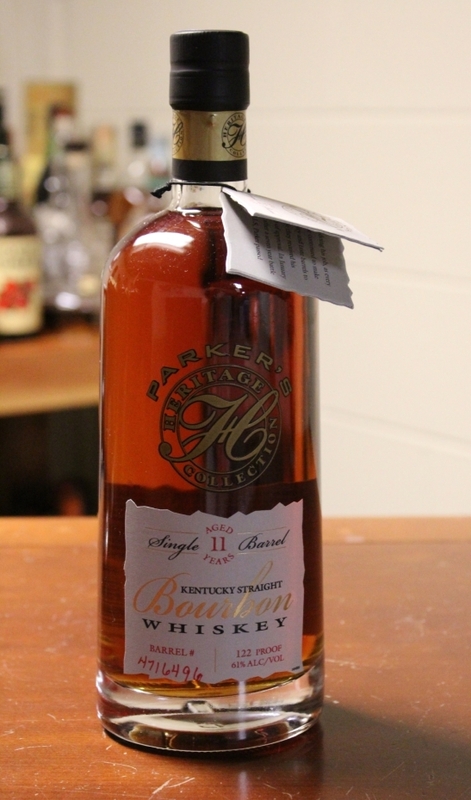 Parker Beam was diagnosed with Amyotrophic lateral sclerosis (ALS), also known as Lou Gehrig’s Disease, in 2010. He announced his illness to his fans in 2013, which is why PHC 7th edition was named Promise of Hope (PoH). 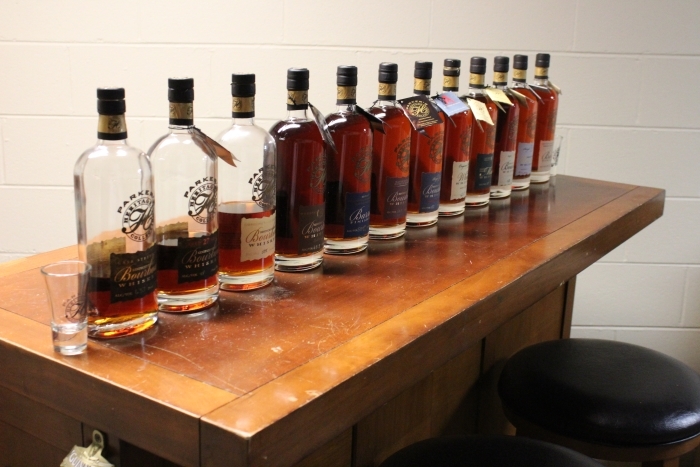 Heaven Hill donated $20 from each bottle of PoH sold to the ALS Promise Fund, and $5 from each bottle sold from each edition thereafter. 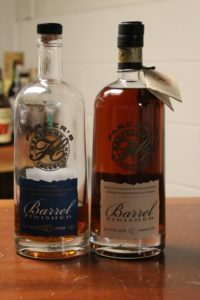 At the time of writing (6/30/2018), there are only two single barrel releases (7th Ed. and 11 Ed.). At the time of writing (6/30/2018), there is only one bottle-in-bond release (10th Ed.). 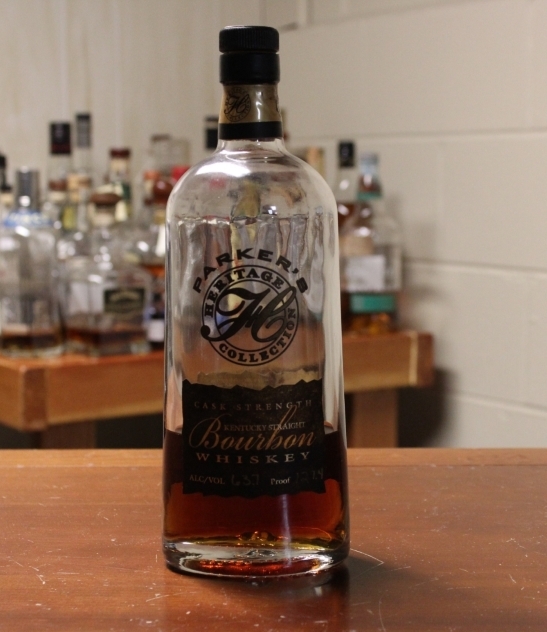 This is also the oldest bottled-in-bond bourbon. At the time of writing (6/30/2018), there is only one edition that doesn’t have an age statement (3rd Ed.). 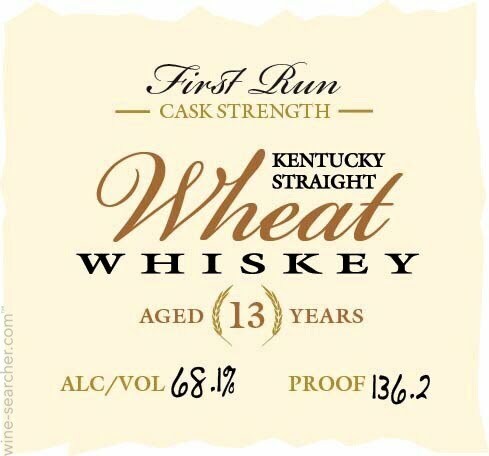 Update: The 12th edition also does not have a single age statement–technically it includes bourbon aged 7-8 years) . At the time of this update (12/7/18) there is now a second Barrel Finished release (12th Ed.). Previously there was only one (5th Ed. ).